James fixed my phone for me today and instructed me in how to avoid issues. Service was great, and I highly recommend this store! Employee excellent, patient, knowledgeable. Efficient service. 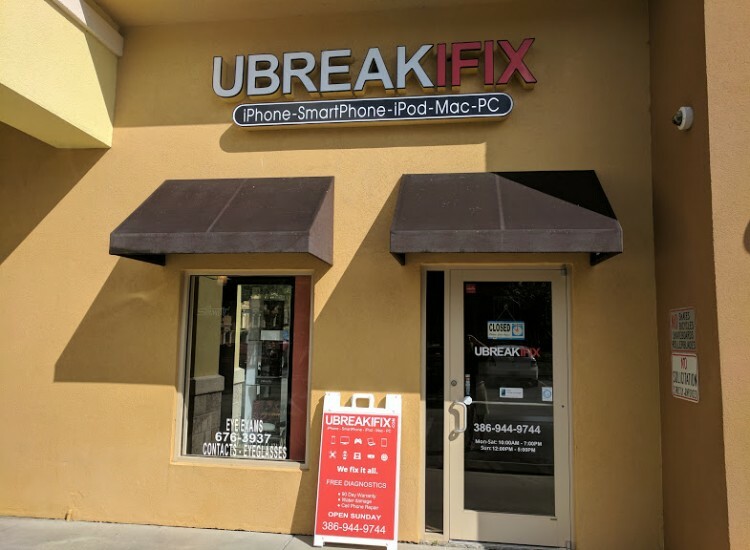 If a broken cell phone, tablet, computer or laptop is threatening to ruin your day in Ormond beach, bring your device to uBreakiFix and let us get you back on track. Nobody wants to spend a beautiful day worrying about their favorite device, which is why our process is quick, easy and, most importantly, affordable. We start every check-in with a diagnostic exam that checks the basic functionality of the device as well as locates any surface damage. These clues help the technicians determine what the problem is and what repair would be the best course of action. Our diagnostic exams are completely free and customers are under no obligation to continue with a repair. Whether you need a phone screen repair, a new tablet battery or a water damage diagnostic, we have the tools and expertise to complete your repair faster and for the lowest price around. 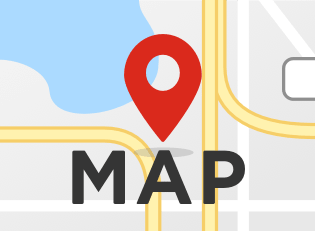 Our repairs can usually be completed in under an hour getting you out and on your way faster. 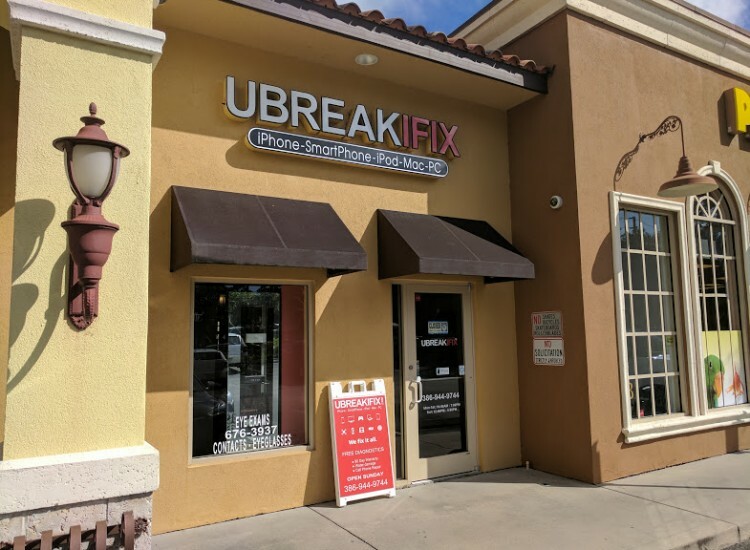 Located on W. Granada Blvd, one mile east of I-95 on HWY 40, uBreakiFix Ormond Beach is just a short drive from the beach. While we love the closeness to the water, our phones and tablets aren’t such big fans. If your phone or tablet accidently took a swim, it’s important to bring it to a repair specialist as soon as possible to avoid damage and corrosion. Our water damage diagnostic is free and we can recommend how to bring your device back from a watery grave. The biggest benefit of having a uBreakiFix right in the neighborhood is that our technicians are a part of the community. We treat each device as if it were one of our own and always take safety precautions to keep your device secure. We also invite you to take advantage of our low price guarantee, stating that if you can find a lower advertised price for the same repair, we will match it for you. 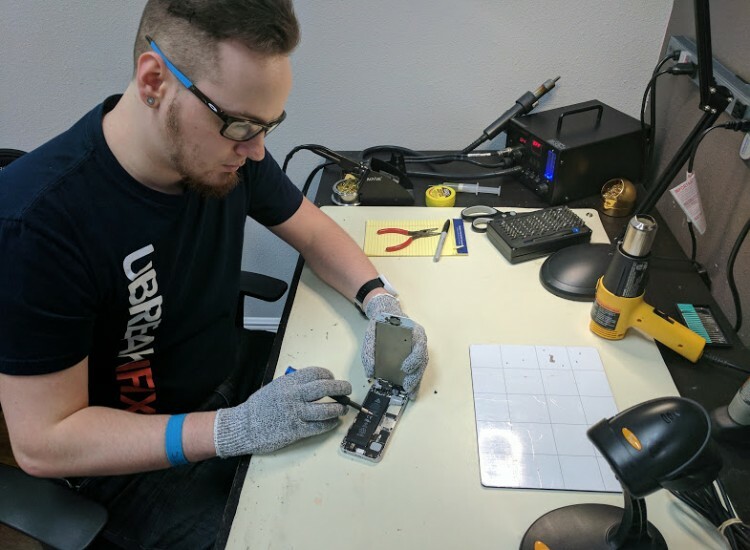 If you have been putting off your phone repair, tablet repair or even a TV repair, come see the talented technicians at uBreakiFix Ormond Beach located in the Tuscany Shoppes Plaza.